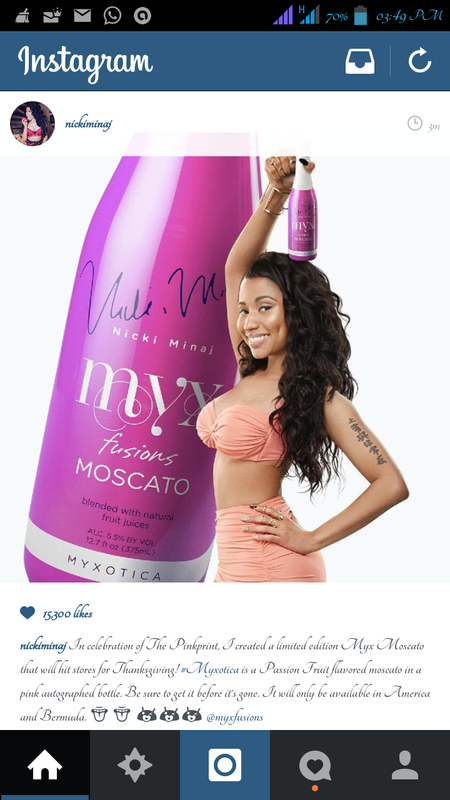 Nicki Minaj release limited edition of her myx moscato for the celebration of her pink print. Nicky said "in celebration of the Pink print, I created a limited edition Myx Moscato that will hit stores for thanksgiving! #myxotica is a passion fruit flavored moscato in a pink autographed bottle. Be sure to get it before its gone. It will only be available in America and bermuda."